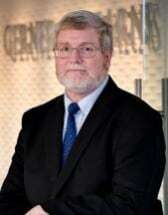 Mark N. Dierks is the Lead Attorney for Kentucky in the Default Services Practices Group, with vast experience litigating in various Courts and jurisdictions throughout Ohio and Kentucky. Mark's practice areas include Foreclosures, Evictions, Real Estate, and Creditors’ Rights litigation. Before joining Gerner & Kearns Co., LPA, Mark was the lead Kentucky Foreclosure Counsel at Reisenfeld & Associates, Cincinnati, OH. Prior to that he served as an Associate Attorney with Lerner, Sampson & Rothfuss, LLP in Cincinnati, Ohio, where his practice was concentrated in Creditors’ Rights representation in Foreclosures. Previously he served as an Associate Attorney with Weltman, Weinberg & Reis in Cincinnati, Ohio, where he concentrated his practice in Creditors’ Rights representations in Bankruptcy and Collection litigation. He started his law career in general practice with Holbrook & Associates, with an emphasis on Business, Corporation, Contract, and Real Estate law. Mark lives in the Milford area with his wife, Christine, and daughter Lizzy, a recent Engineering Graduate from the University of Cincinnati. His late son, Drew, was also a University of Cincinnati Student, who wished to become an Attorney like his father. Mark’s interests include history and model railroading. Mark enjoys both water and snow skiing, bicycling, walking his dog, Donna, and most other outdoor sports. He is actively involved at St. Mark Lutheran Church as an Usher and Sunday School Teacher, and formerly served as its Vice President and as a Trustee.